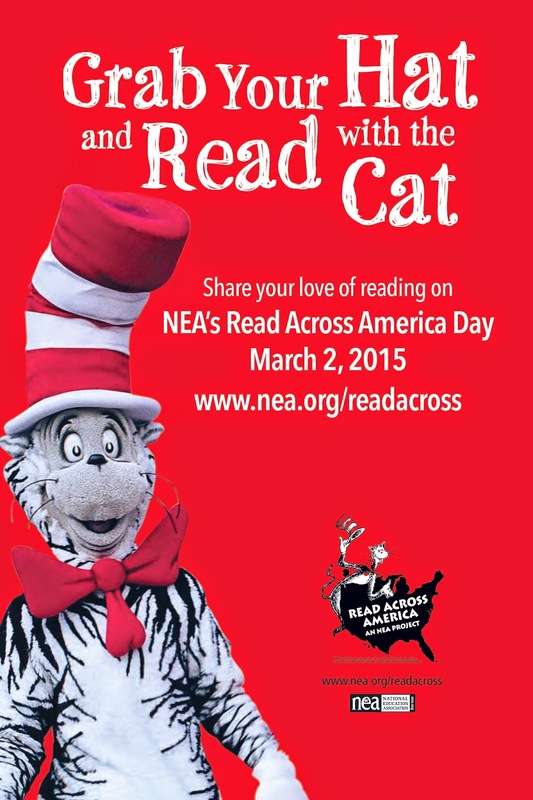 Monday, March 2nd is Read Across America Day! Here are a few events going on in the area in honor of Read Across America Day! Join fellow lovers of anapestic meter on at 3 pm for a special Dr. Seuss Storytime. Kids, adults and Things of all ages welcome. Special event celebrating the birthday of notable children’s book author, Dr. Seuss. The event will feature a large display of Dr. Seuss’ most popular books along with a giant four- layer birthday cake created in his honor. The event will also offer carnival type games, prizes, and a costume contest. Attendees are invited to come dressed as their favorite Dr. Seuss book character to win a grand prize. The event is opent to the public and it's FREE! For more information, contact Jennifer Anderson at Jennifer.Anderson@tamucc.edu; or call ext.3321 or contact Jeff Janko at jeff.janko@tamucc.edu; or call ext.2588. Read Across America Day Event at Barnes & Noble at 7:00 PM. Join then for a special event celebrating Read Across America Day. Participate in Storytime and activities featuring Dr. Seuss favorites Oh, the Places You'll Go!, The Cat in the Hat and Green Eggs and Ham.